I’m SO excited to introduce to you all today the lovely Lauren from Going Green: Our Army Adventure! We were paired up together through the Chaotic Goddess guest post swap, and I have to say…I couldn’t have been dealt a better partner. Lauren is a fellow military spouse, and this girl has some serious insight into my future as an Army wife. So, without further ado…meet Lauren! Military spouses are some of the strongest people I have EVER met. 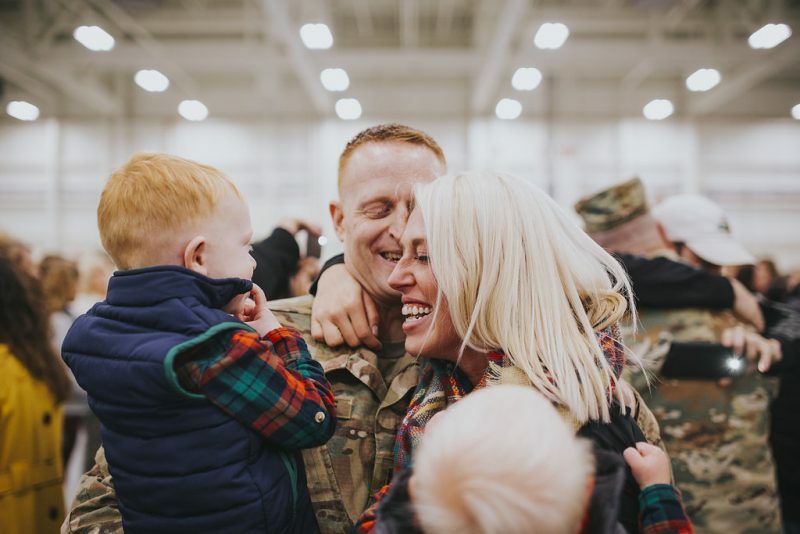 We deal with deployments, hardship tours, and moving around the world constantly, all while raising children and/or trying to start a career/education in the midst of it all. We are selfless. We often give up many of our own personal goals or dreams in order to support our soldiers, and we do so with grace and understanding (for the most part) because we know that they do not choose when they receive orders. We spend a lot of time waiting. Orders don’t come fast, neither do moves. You spend a lot of time stressing out about dates, times, and possible outcomes, and then it all comes down to last minute prep and coping with the reality that you have ZERO control over a good portion of your life. It’s just how it is, no matter how frustrating you think it may be (and trust me, I am SO not okay with this). Most of us did not choose this life. We chose our soldier, they chose this position. We simply fell in love and decided to face the challenge rather than run in fear. This life is not easy. For all the above mentioned reasons, this life is not easy, but if nothing else, it is inspiring and it is a service. We serve our soldier as they serve our country, and I find very few things that can be nobler than that service! The milSO (military spouse/significant other) community is uh-may-zing. I started blogging because I didn’t have a base-full of fellow spouses to lean in on. This amazing blogging community of milSOs that I have fallen into is just that, AMAZING! They are wonderful, great, awesome people that are more than willing to help a novice newbie make their way through the confusing sea of camouflage, ACUs, and dress blues. 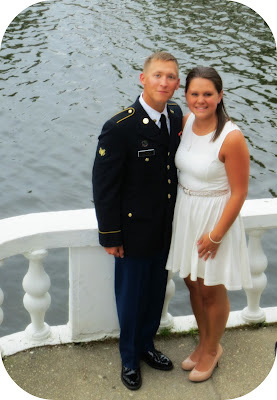 So a big hats off to Melissa for being a tough and strong lady, and future military spouse. You so got this girl! And if ever you don’t, you’ve got a ton of us fellow spouses and future spouses to rely on for help! Same goes for the rest of you out there in the milSO family! And be sure to thank a military member next time you see them, maybe give their spouse a hug too!! Isn’t she the sweetest?! As an aside, yes, there was a design change overnight, and I sure hope you love it as much as I do! More info on that tomorrow. If you’d like to read my post on Lauren’s blog today, click HERE.